British Prime Minister Gordon Brown will apologise for the UK's role in sending thousands of its children to former colonies in the 20th century. The Child Migrants Programme, which ended 40 years ago, sent poor children to a 'better life' in Australia and elsewhere. However, many of the children were abused and ended up in institutions or as labourers on farms. The chairman of the health select committee that looked into what happened said Mr Brown wrote to him this weekend to confirm he would issue an apology in the new year. Kevin Barron told the BBC he was 'very pleased' to have received the written commitment from Mr Brown. 'After consultation with organisations directly involved with child migrants we are going to make an apology early in the new year,' he said. 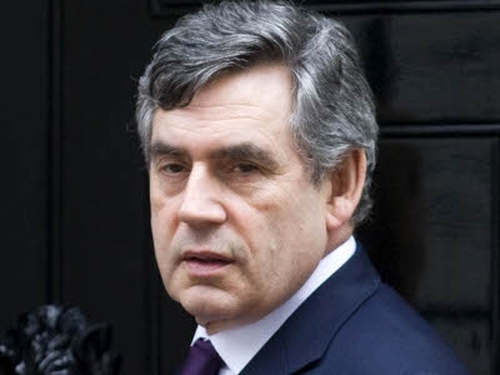 Mr Brown told him 'the time is now right' for the UK government to apologise for the actions of previous governments. 'It is important that we take the time to listen to the voices of the survivors and victims of these misguided policies,' Mr Brown wrote. The development comes as Australian prime minister Kevin Rudd prepares to deliver a national apology to the 'Forgotten Australians' tomorrow. Mr Rudd will recognise the mistreatment and suffering of some 500,000 people held in orphanages or children's homes between 1930 and 1970. He will combine it with an apology to the 7,000 child migrants from Britain who still live in Australia. As they were shipped out of Britain, the children were separated from their families and many were told - wrongly - they were orphans, while the parents were told that they had gone to a better life. But most were brought up in institutions, or by farmers, and many were treated as child slave labour. The Australian government will formally apologise at a special remembrance event in Canberra, where Mr Rudd will say sorry on behalf of the nation to those who suffered cruelty and hardship including physical, psychological and sexual abuse.